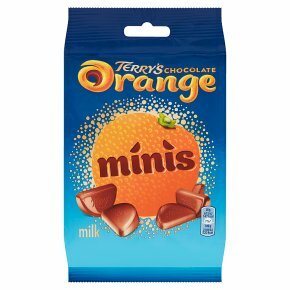 Milk chocolates flavoured with real orange. Suitable for vegetarians. Made with real orange oil "Mini, but mightily orangey"